It is hard not to feel a certain degree of affection for a company that has its origins in a city only a few dozen kilometres from your doorstep. 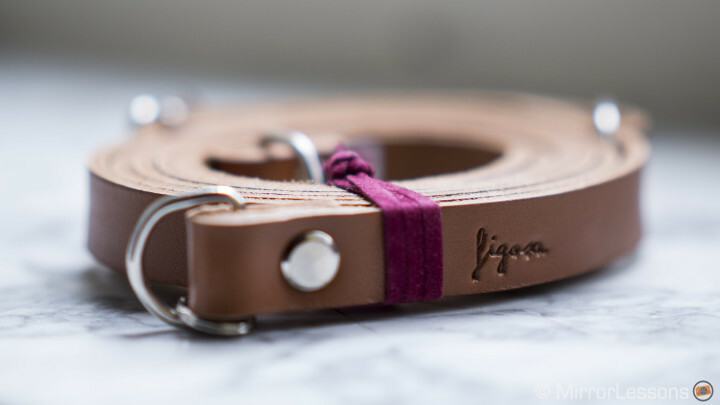 Meet Figosa, an Italian camera strap manufacturer from Genova. It was founded by Andrea and Laura who handcraft every one of their straps from genuine high-quality leather. 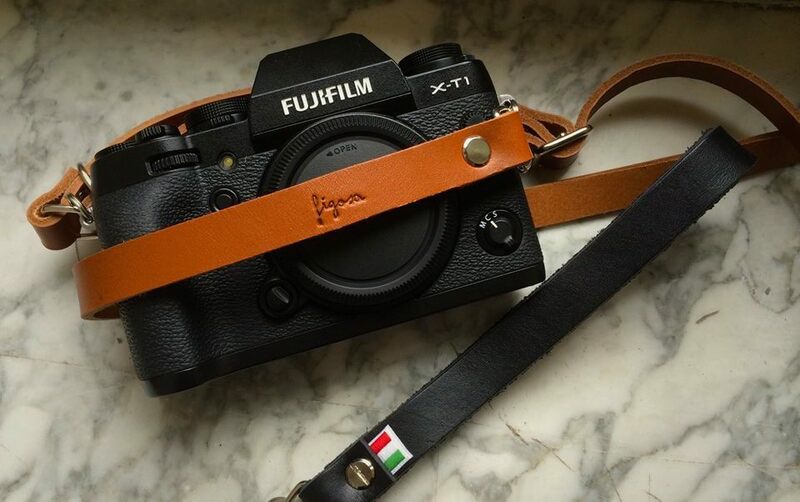 They chose the name Figosa because in Italian, it means ‘something cool’, and indeed, the simple addition of one of their straps can transform your mirrorless camera into something of a fashion accessory that you’ll always be proud to wear out on the streets. 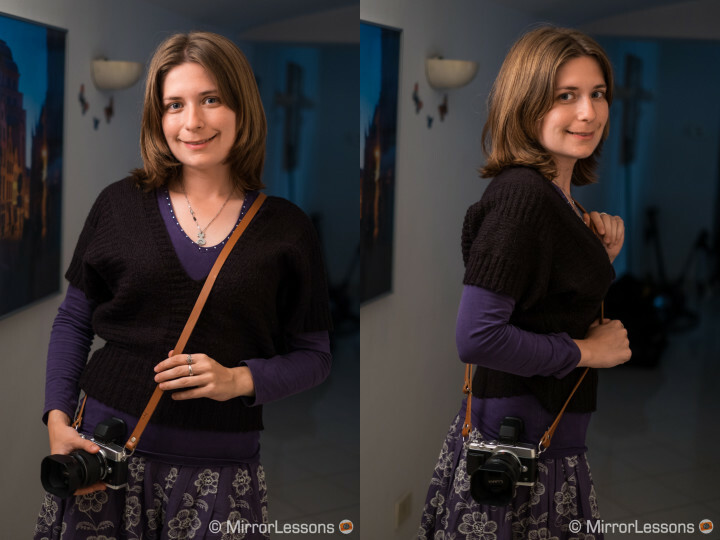 In fact, since I’ve been using the neck strap with our Olympus Pen E-P5 and the wrist strap with our Fujifilm X-T1, I’ve heard more people whisper to their significant other in my presence, “Man, I’d love a camera like that,” than ever before. 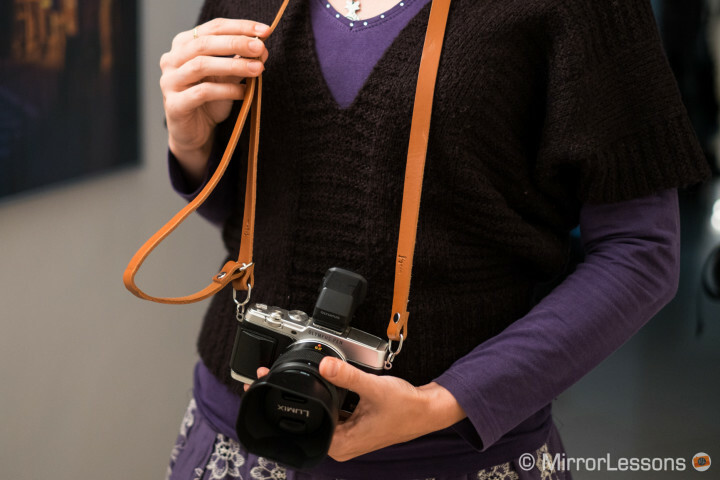 There must be something about the combo of a leather strap and a vintage-style mirrorless camera that makes people take notice. I will admit that initially I wasn’t convinced by the length of the neck strap as I’d only ever used the shorter neck straps that come with the cameras you buy. On a woman who stands at 5’4 feet in height such as myself, the Figosa neck strap (at its maximum length of 120cm) rests directly below the hip much as a small shoulder bag might. If you try to adjust the length to its shortest measurement (100cm) so that the camera rests on your stomach, the excess band of leather bulges to one side, producing a far less attractive combo. It is true that you can use the bulge as a makeshift wrist strap but it isn’t very comfortable. This is why I decided to use the strap as it had been designed to be used and after a few days of use, I have actually come to prefer the longer length for a couple of reasons. First of all, since the camera never bumps against my stomach as I walk, I feel less discomfort after a day of shooting. Secondly, I find that it is easier to casually reach for my camera when I want to take a shot as my hand is already at my side when I’m walking along the street. The only thing I must remember to do is hold the camera against my body as I walk through tight spaces where the camera could potentially bump into someone or something. The right way to use the Figosa adjustable strap. There is no doubting the quality of the material Andrea and Laura have chosen to create the strap. It has that wonderful leather smell that fills the room when you first open the package. Though it started out as a little stiff, we’ve found that with constant use, the leather has started to give. I can only imagine that after months of use, it would become extremely comfortable. We were sent the cognac (light tan) model for testing but you can also buy the same strap in black, dark brown or honey withe either gold or silver metal inserts. Note: One thing that would most certainly be useful to include in the packaging is a small tool to help you pry open the metal clasps that latch onto the lug nuts, like the one included with the Fuji X100s. Opening them with your fingernails can be both time-consuming and painful. The Figosa wrist strap is another product definitely worth considering from the Figosa line-up. 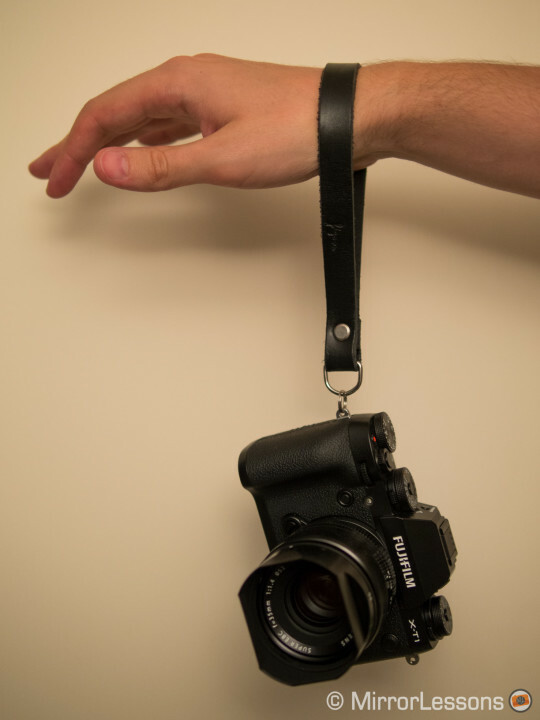 Like the adjustable neck strap, is has been handmade from pure leather, so you know that it will act as a sturdy companion for your analog or mirrorless camera. It is available in black (our choice as it best suits the X-T1 and E-M1), dark brown, cognac and honey and comes with silver metal inserts. After constant use on our X-T1, we have found it both extremely comfortable and attractive to the fashion-conscious eye. As with the neck strap, the leather began to give the more we used it. Perhaps the only drawback is that it is one-size-fits-all. While I personally found the wrist strap to be the perfect size, Mat found it a smidgen too tight as his hands and wrists are bigger than mine. That said, the fact that it is tight also reassured him that there was no possibility of the strap slipping off his wrist by accident. 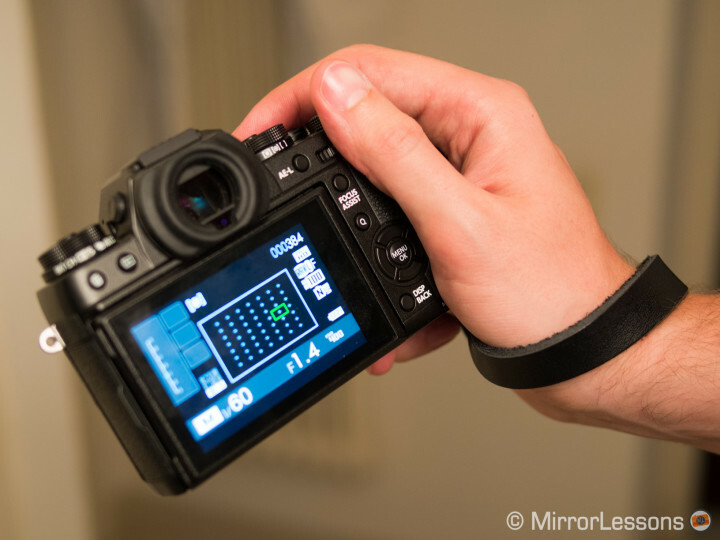 There is no chance of your mirrorless camera accidentally falling on the floor with Figosa! The Figosa adjustable leather neck strap and wrist strap are fabulous products in terms of both functionality and aesthetics. They ooze quality and will add an extra touch of vintage to your already vintage-looking mirrorless camera. Considering that each strap is handmade, they are quite the steal at only $69.63 for the neck strap and $25.15 for the wrist strap. 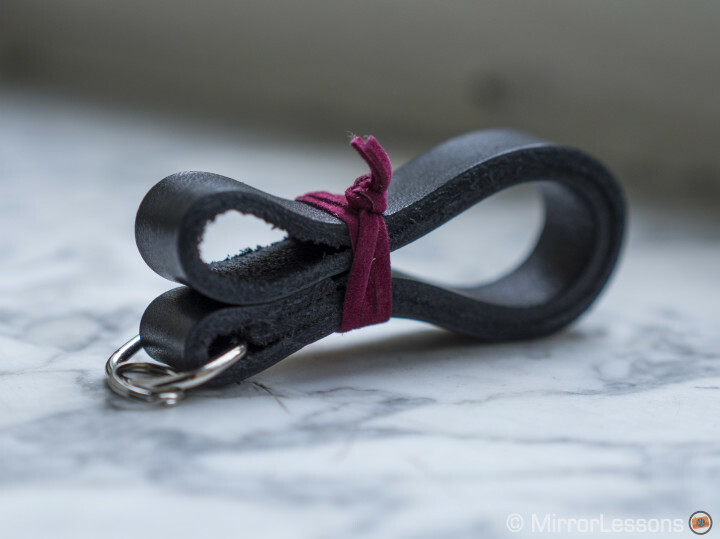 Ready to add a little touch of Italy to your mirrorless camera? Then take a closer look at the Figosa straps!